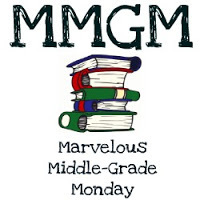 IT’S ANOTHER MARVELOUS MIDDLE GRADE MONDAY! Gordon Korman is not a “WhatsHisFace.” This week marks the release of his 93rd book in a writing career that began in the late 1970’s. The good news is there’s no indication he has any thought of slowing down. Last year I reviewed RESTART, a book that made it all the way to the Cybils finalist list. While that one had multiple viewpoints, WHATSHISFACE sticks to one third person POV, or really a close third person. The cover showing seventh grader Cooper Vega doesn’t give a hint that none other than Shakespeare is a huge part of the plot. Cooper is always the new kid since his military dad moves the family to another town all too much. At his current school he’s known as WhatsHisFace. When Cooper’s parents give him the hottest cell phone on the market as a gift, it’s great and all, until he discovers a ghost living inside the phone named Roderick. He too is a 13-year-old kid—one who lived in the seventeenth century. Roderick claims he was the actual writer of Romeo and Juliet and further accuses Shakespeare of stealing his manuscript after Roderick died an early death. There has long been speculation and debate whether Shakespeare actually wrote all of his plays. Korman approaches it from a modern day perspective and the explanation is quite plausible how Romeo and Juliet came to be. Nevertheless, its up to Cooper to keep his ghostly friend hidden, even though Roderick learns how to escape for short trips away from his unusual entrapment. His goal is to become known as the true author of the play. You learn much about the Bard along with Romeo and Juliet. You’ll also enjoy an offbeat story of friendship, first crush, and finding a way to not be invisible to the rest of the world. The same could be said for Cooper and his 21st century problems. Keep those stories coming, Mr. Korman. You might recall a time when you were invisible to classmates or co-workers. You’ll be grinning at how Cooper takes center stage. A story like this sparks interest in Shakespeare, and might send young readers to learn about the playwright and his life. Cooper fits in well as the protagonist. He’s not popular or athletically inclined, and by the end we see and hear a different side of Cooper. Bravo. Twenty-eight chapters and a short epilogue fly by, which says a lot about the writing. I finished it in a mere three weekdays. A record of sorts. Many of Korman’s books become series. This one fits well as a standalone and I’m glad. Plot points are wrapped up in a nice package. Cooper deserves it. GORDON KORMAN’S AUTHOR WEB SITE The master story teller also has an impressive web site. Of course you’ll find details on his books, but there is also GORDON’S BLOG, a READERS FORUM, and MORE RESOURCES. The site is a model for other authors in need of a fix for their own page. This entry was posted in New Release, Reviews and tagged Gordon Korman, Middle Grade Book Reviews, WHATSHISFACE. Bookmark the permalink. I love the Gordon Korman books I’ve read, and anything with Shakespeare involved captures my interest. This one sounds first rate. I will be looking for it. Thanks for the review. Sounds like a really interesting story with the Shakespeare theme and ghost in the phone. Glad you liked it. This sounds wild and clever! Okay Greg, I looked Gordon Korman up thinking he was old, only to find out that he is only 54. So why would he slow down — he has another 30 years in him to write great stories! What a great story. I haven’t read any of his books, but I like the idea of a ghost in a phone that claims he wrote Romeo and Juliet. Sounds very entertaining — and I love the cover! Yes, I hope he does keep going. Gordon wrote his first book at age 12, published it at age 15, and hasn’t let up since. Look at Richard Peck, still churning them out at age 84!